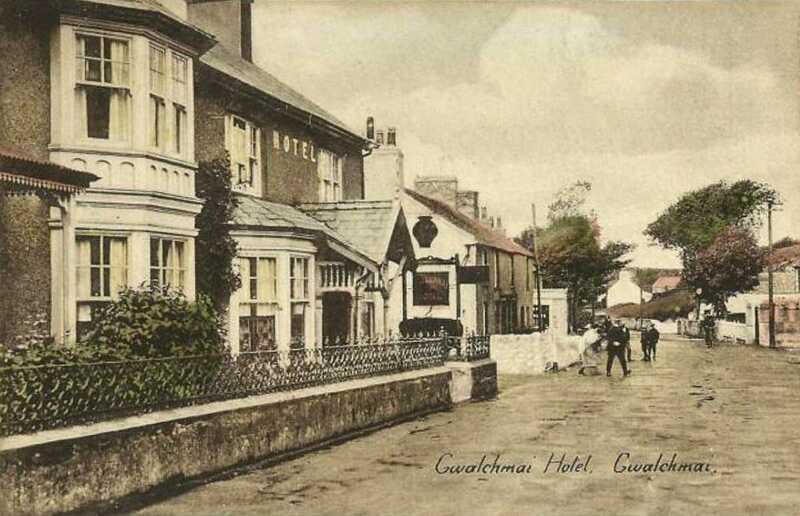 Gwalchmai and the surrounding area on Anglesey is quite rural, and yet is quite populous in Anglesey terms, during World War One (WWI) most men would have worked on the land. 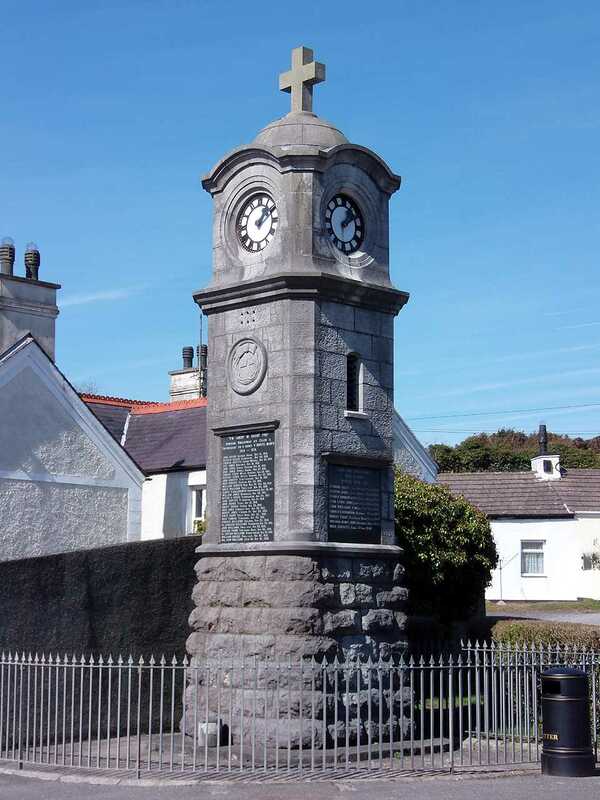 Gwalchmai has one of the finest war memorials on the Island, a clock tower similar to the ones in Rhosneigr and Llanfair P.G.. 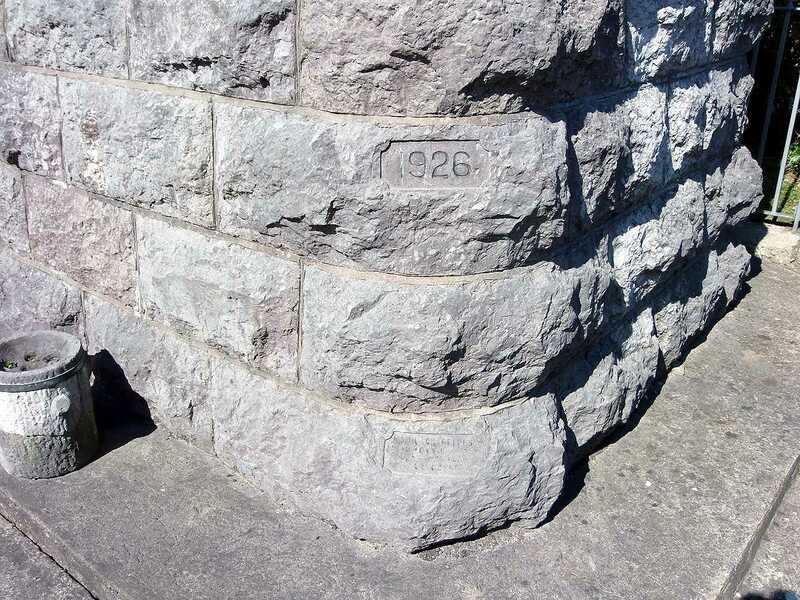 The monument was erected in 1926, whereas many of the Island's monuments were up by 1923, was there a problem raising money? I don't know. 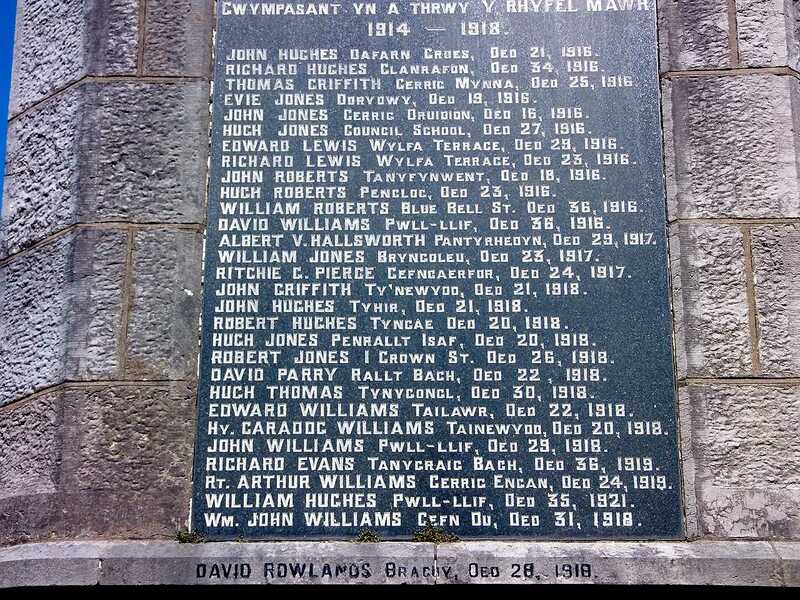 The building work was carried out by John Griffiths, Monumental Works of Llangefni. 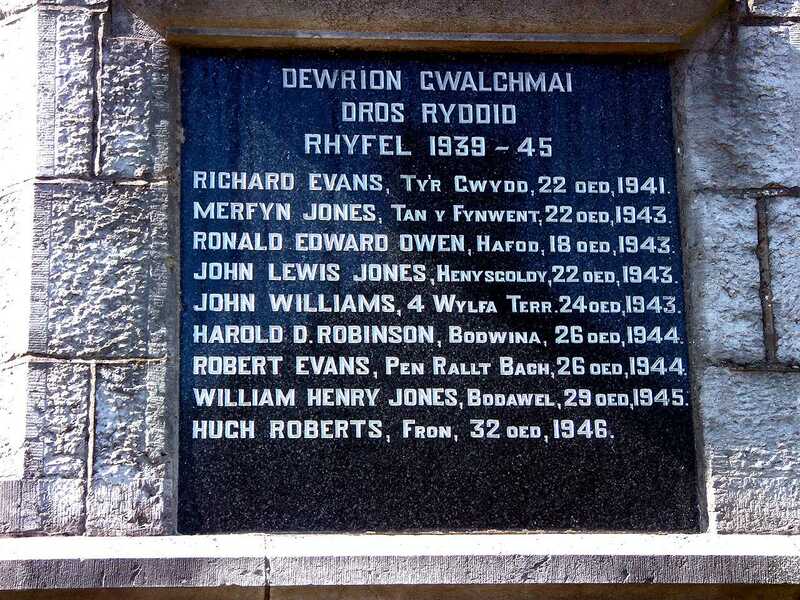 Here are the lists of casualties during World War One and World war Two. 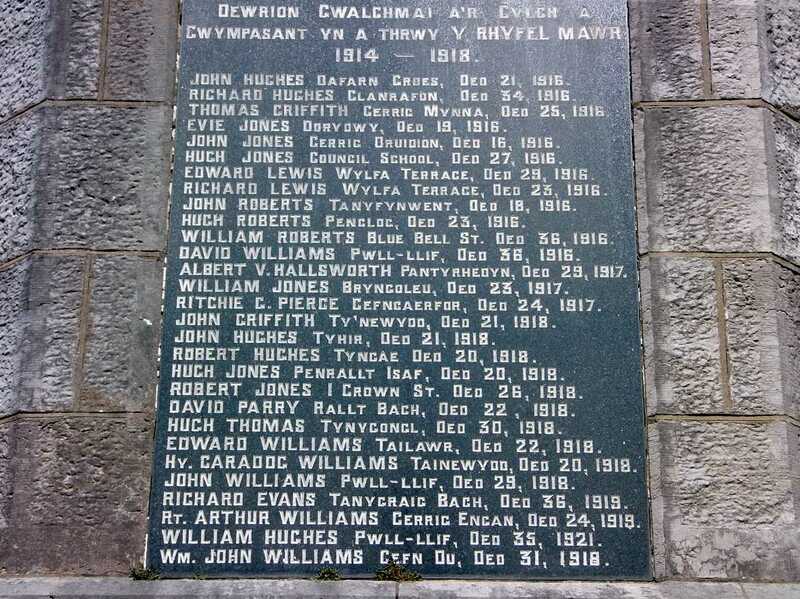 Along with information that is not on the war memorial, although because of the lack of information available it is almost impossible to match the exact casualty with several of the names. Due to the lack of space on a webpage I have added further information in a second table which is below the first table along with the names.